If you’ve escaped to the Roaring Fork Valley to reflect on the chapter of a lifetime, then you’ve come to the right place. Here are a handful of ways you and your love can celebrate your anniversary in Aspen. There’s nothing like a blanket of mystery to make us feel humbled and amazed: stargazing is a routine meditation in the Valley, which boasts an incredible view of the night sky. Do you and yours truly need to brush-up on the constellations? 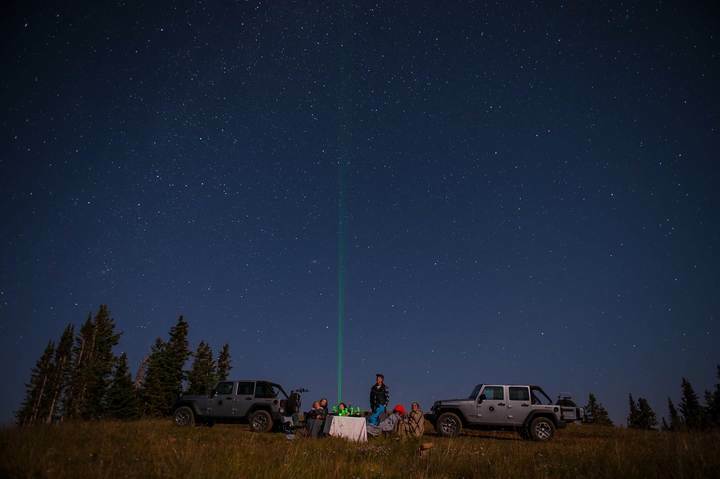 Not to worry: an adventure concierge and astronomy expert will guide you on this private—and comfy—Audi 4×4 tour, from sunset on. Celebrate with champagne and sweet delights beneath a sea of shooting stars. Cutting-edge binoculars included. Crystalline mountain lakes, steep slopes, and silhouettes of the state’s highest peaks: these views make Roaring Fork Valley a national frontrunner for landscape photography and adventure. Blend the two in an off-road tour with your choice of daylight or sunset and duration. 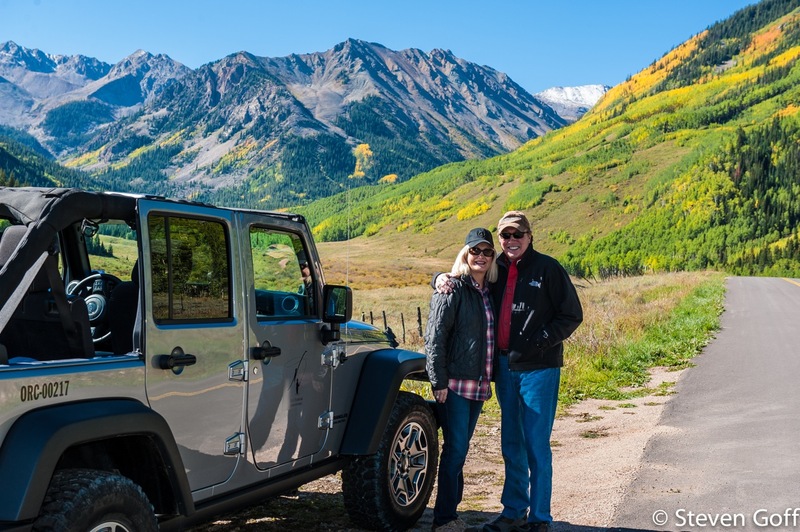 One thing’s for certain: being free to take your eyes off of the jeep road will give you time to connect and share the moments. So kick back and soak in the Maroon Bells wilderness and Continental Divide with your significant other. Delicious, fresh snacks or lunch selections are provided on each tour, created by The Little Nell’s premier restaurant, element 47. Cuisine is an explorative journey unto itself. 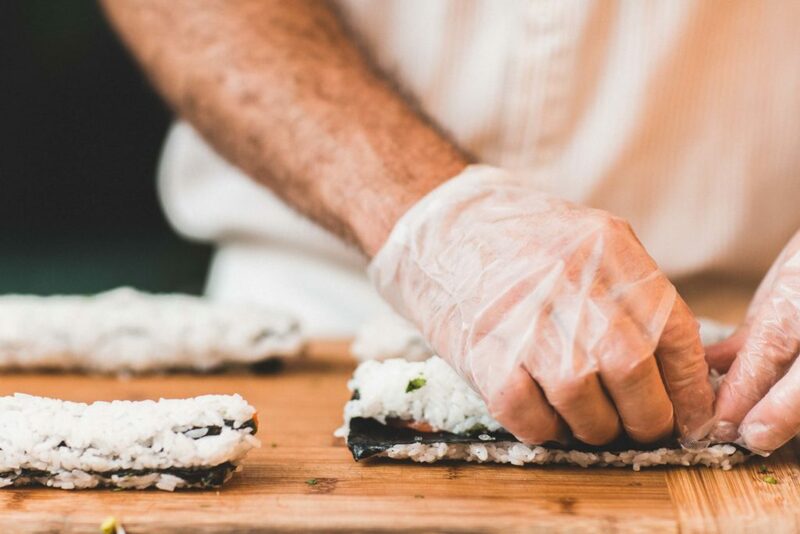 After sharing a day among the aspen groves or strolling the town’s boutiques and galleries, replenish your minds side-by-side with sensational flavors at Matsuhisa, a sushi restaurant with new-style Japanese plates, which was founded by world renown chef Nobu Matsuhisa. Beyond his classical training, Matsuhisa finds inspiration from his travels around the world. “Omakse” means tasting menu: we highly recommend this family-style multi-course selection, which features signature dishes as well as Chef Matsuhisa’s daily creations. Indulging in incredible conversation over a glass of Merlot or Chardonnay is a sensational way to cap off a day with your life partner. Tasting a flight of the best wines available in the country—and from around the world—helps to prepare you for next time while simultaneously soaking up the flavors and knowledge. 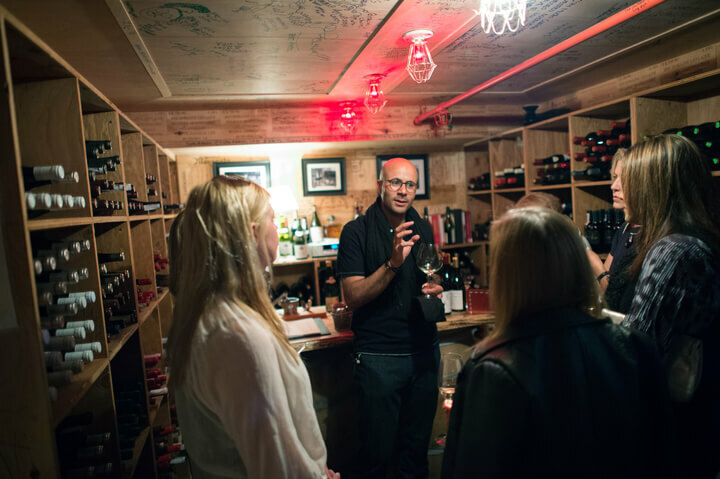 Arrange a private tasting for two at Little Nell’s element 47, which is known for one the richest collections of wine and sommeliers in North America. The cellar has earned the Wine Spectator Grand Award since 1997, and also graduated 10—a record number—of North America’s 150 Master Sommeliers. That community includes The Little Nell’s passionate leader Carlton McCoy, who steers the wine program’s ship today. From Piedmont’s Gaja to Roulot from Burgundy, the collection of more than 20,000 bottles will give you a well from which to learn while warming up the moment. Cozy up in a carriage that will lift you above town, the evergreens, and wavering Aspen leaves. 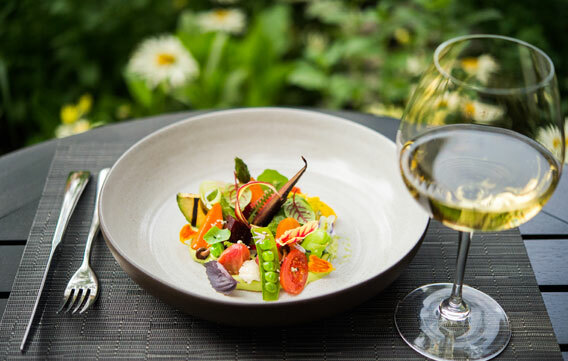 The end destination will draw you to stay, so you can enjoy the mountain vista together over a refreshing lunch and glass of wine at the Sundeck restaurant. Across the ravine, views of the runs at Aspen Highlands and Highland Bowl are in clear sight. 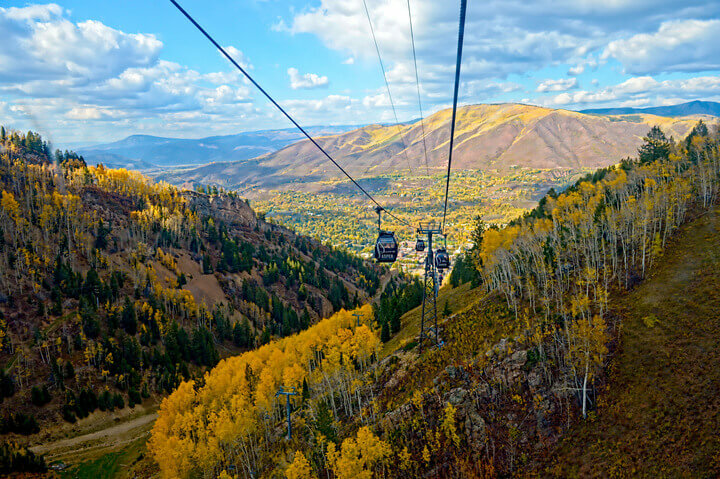 The Silver Queen Gondola is located at Aspen Mountain and operates throughout the summer and fall (every day from June 17-September 4; weekends from September 9-October 8) from 10 a.m. to 4 p.m. (the last ride down is at 4:30 p.m.). One-ride gondola ticket costs $24. A relaxed atmosphere paired with an exquisite menu: This fine-dining restaurant provides the perfect date night elements for celebrating past memories while creating precious new ones. The dishes are seasonal and feature locally-raised Wagyu beef, nitrate-free pork, and cage-free all-natural eggs. Dairy products and produce are also grown and collected from farms in the Valley. And the wine experience is one of the best in the nation with an award-winning, record-setting cellar and team of sommeliers. It should be no surprise, then, that element 47 received its first Five-Star Restaurant Award in 2015—and is the only one to do so among Aspen restaurants. Dress up or down for your special occasion (among the locals, we call it “Aspen casual,” meaning there’s no dress code). Your anniversary in Aspen should be celebrated with a blend of old and new. For more ideas on spending your anniversary in Aspen, contact our concierge.